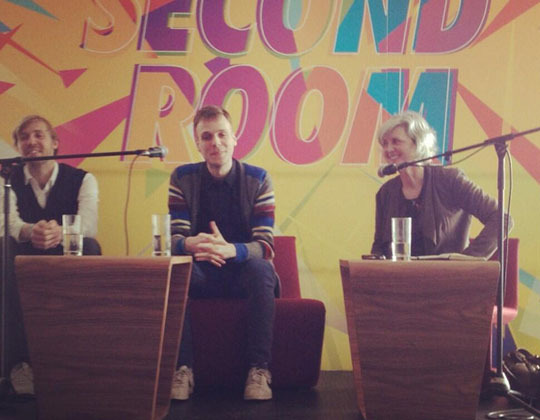 PIVOT Dublin were delighted to have Pop-Up City as bloggers in residence between the 4th and 18th of April 2013. Right now that everyone in the international design blogosphere is talking Milan we’re talking Dublin. 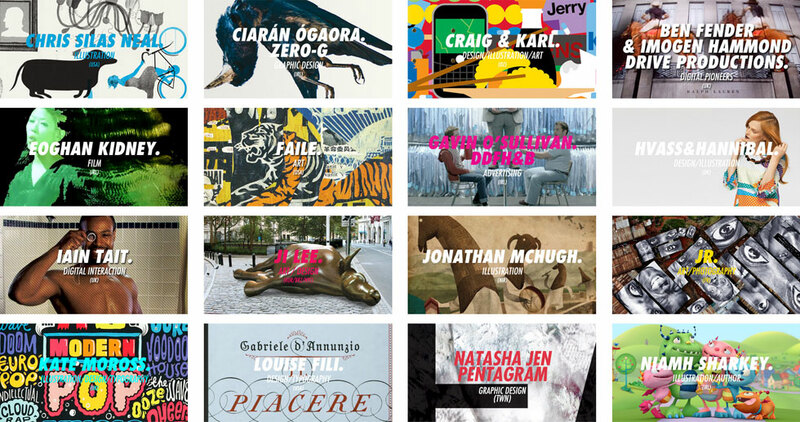 Last weekend we visited Dublin’s creative festival OFFSET 2013. OFFSET took place between 5 and 7 April, and we were lucky to get invited and mingle with the design community. We just spent our first days here in Dublin as Bloggers in Residence and the OFFSET Festival gave us a good opportunity to find out if something like ‘Dublin Design’ exists. Does this city has its own style expressed by the variety of work made by the local creative community? Some cities have the magic of having their own style. Milan, for instance, has a sober, straight and solid design style. Design from London is often more glamorous, nifty and a bit more commercial, while creative work from Tokyo generally is humble and sweet and made with incredible care and patience. OFFSET 2014 focused on both Irish and international design, mainly in the fields of graphic design, photography, illustration, advertising and street art — all pretty pretty much ’2D’, but it gave us a glimpse of the local design community. One of our festival highlights was the Brooklyn-based street art collective Faile. 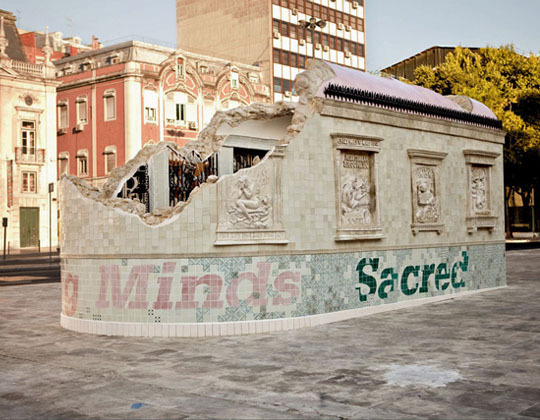 On the main stage they shared their inspiration and work with the audience in a presentation that ended with one of their recent installations, a temporary modern church that popped up in downtown Lisbon in 2010. Special about this work is that it plays with religious symbols and street (art) culture at the same time. Taking OFFSET as a standard, our first impression of ‘Dublin Design’ is that it is colorful, hopeful and happy — not exactly the style that we would have expected in the first place from a Celtic city. 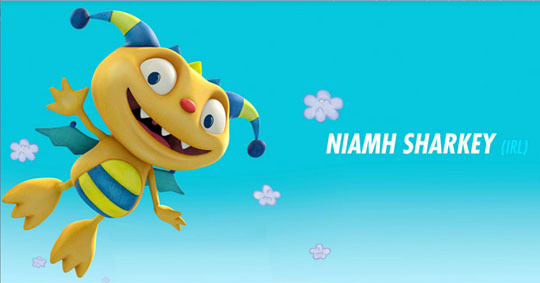 Illustrator Niamh Sharkey presented very sweet and colorful work on the main stage, and also Ciarán ÓGaora, who runs the Zero-G communication office, responsible for Ireland’s current branding and communication campaign, has a happy and not-too-complicated perspective on design. This first impression got even more stressed by the style of the festival itself, that was an attractive explosion of bright colors.